When you think of Scandinavian style, simplicity and neutral palettes are some of the first things that come to mind. That’s why, when you meet Anpé Atelier Cph, a fine jewellery brand fresh out of Copenhagen, you have to totally rethink your definition. A fusion between Scandinavia’s clean lines and the vibrant pops of colour you’d find at an eastern bazaar, Anpé Atelier Cph is creating a new category for jewellery, and defining its identity in the process. Working with 14 and 18 carat gold and stunning gemstones from exotic locations like Sri Lanka and Madagascar, it would be easy for Anpé Atelier Cph to find its niche in cocktail jewellery and bold statement pieces. But that’s clearly not what it’s after. Founded by Jewellery Designer Line Jacobsen, Anpé Atelier Cph is an outlet for creativity and a love note to all things beautiful. Fascinated with jewellery since she was a young girl, Line said “My grandma has this amazing big gold ring, that I’ve always admired”. Line’s goal with her collection is to create pieces that can withstand the test of time, capable of being passed down from generation to generation without losing any of their allure. A former lawyer, to say Line is on a new path is an understatement. Having met her now partner in Sri Lanka back in 2015, the soon-to-be jewellery designer was immediately struck with the colours of the country. “I got inspired by the colourful way of living in every aspect when I went there: from the houses, spices and textiles to colourful temples, mosques, markets, nature, and the most amazing colourful jewellery,” she says. But it was also the contrast she saw from her native Scandinavia that sparked interest. The idea of fusing these two distinct worlds together in a tangible way, one that is special and meaningful too, is the heart and soul of Anpé Atelier Cph Jewellery. Divided into two collections, Classic Complexity and Scandinavian Simplicity, Line creates a feast for the eyes without losing the sentimentality every woman wants behind a piece of jewellery. In the Classic Complexity collection, every piece is completely unique, making “a find” feel that much more revelational, like the Diyamanti Kava, a stunning ring featured in Vanity Fair June 2018. 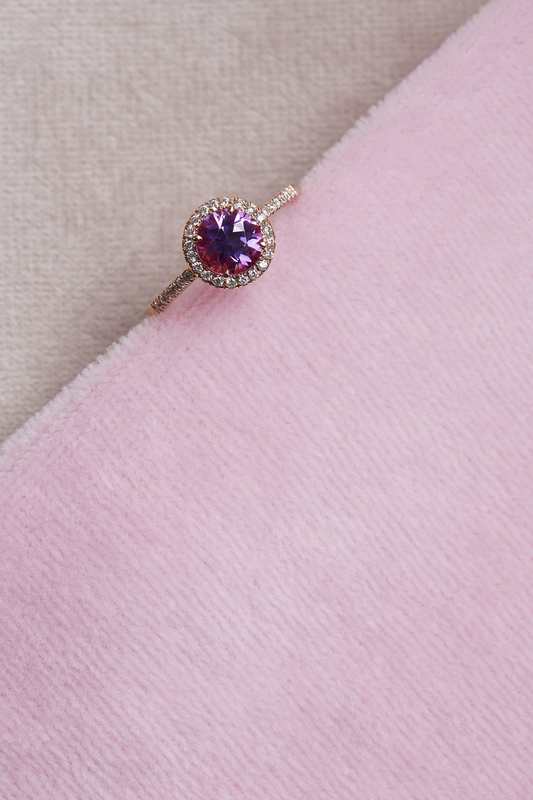 Feminine and delicate, the purple-hued pink sapphire in the middle is round, allowing the small diamonds that encircle it to have even more of a visual punch. 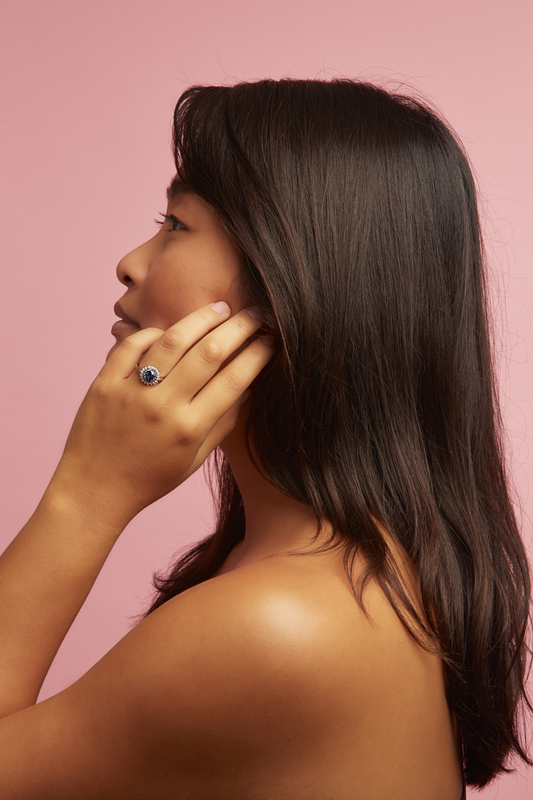 And, if visual punch is what you’re after, then look no further than the white gold Nil Handa ring, with a blue sapphire with so much depth you’re sure to want to dive right in. And then there’s the striking Scandinavian Simplicity collection, which features signature Anpé Atelier Cph Jewellery pieces that truly showcase the fusion between Scandinavia and Sri Lanka. 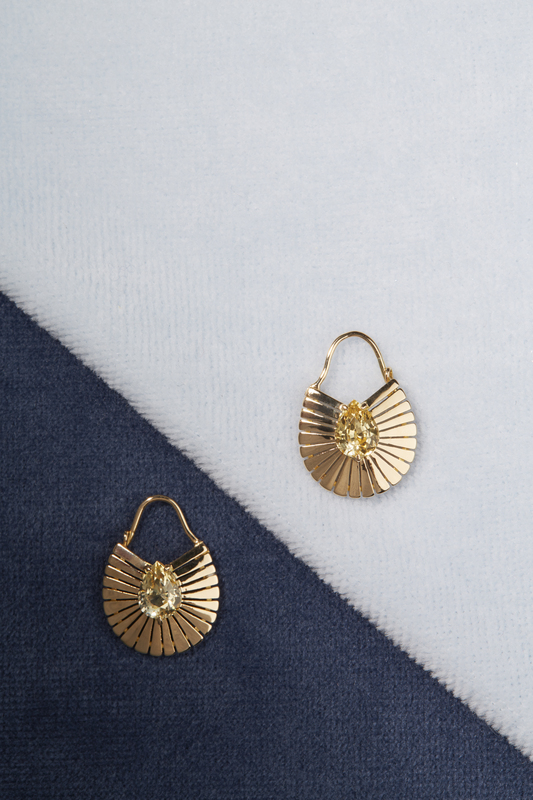 The monochromatic Signe Earrings are a prime example of how this melding works, the design’s gorgeous yellow sapphires subdued by the beautiful petal-like setting, which perfectly matches the stones’ sunny shade. 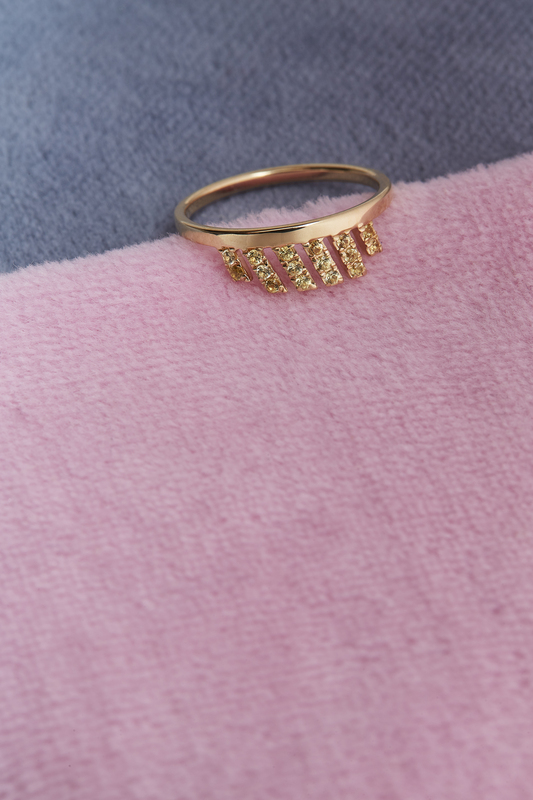 The Mette Ring features a similar colour scheme, offering beautiful lines of yellow sapphires set in yellow gold. But one-colour wonders aren’t the only thing to love about Scandinavia Simplicity collection. 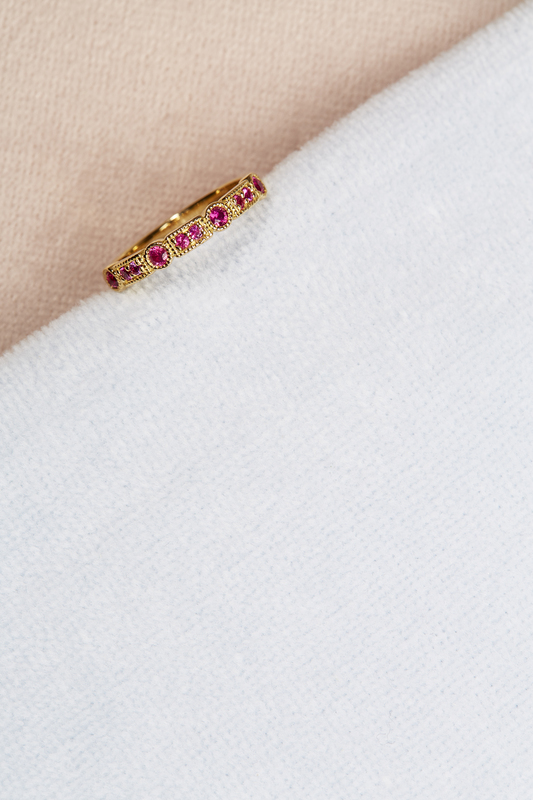 As promised, pops of colour show up brilliantly, like the hot pink sapphires sculpted in the Trine Ji Ring (which was featured in British Vogue June 2018). The Anne Necklace also stuns, using bright green tsavorites and yellow gold that follow simple and clean Scandinavian lines. But perhaps none of the pieces do colour as well as the Josephine Bracelet, which features a combination of different coloured sapphires and tsavorite gemstones lined up neatly, just waiting for you to admire. And admire you will. Anpé Atelier Cph are also happy to create bespoke jewellery pieces, for example if you see a particular design that you really like, but would prefer a different coloured stone, that can be done. This also allows customers to be involved in the design process, so that the piece of jewellery they end up choosing is simply perfect for them. Line said “(Almost) anything is possible, and I love working on making my customers colour-dreams come true”. When asked who her typical customers are, Line explained that “Anpé Ateliers customers are sparkling, stylish and happy women with a love for both colour and simplicity – or the boyfriends and husbands of such women. It’s women who want designs and materials that last for a lifetime.” Now, doesn’t that sound just like you?